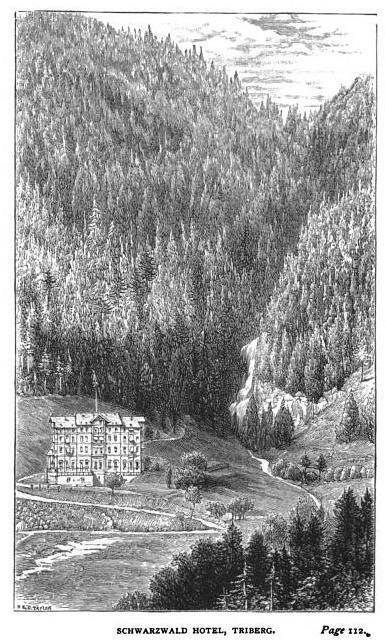 South of Stuttgart and north of Basel spreads the Black Forest, so named by ancient Romans for the conifers populating it, which grow thickly enough to block the sun. Copses of white pine jut from rolling hills, and ancient oaks crowd deep valleys, sheltering strange fauna not found elsewhere. The Lumbricus badensis, an earthworm of record-setting girth and length, dwells there, as do rare Hinterwälderberg cattle and the tawny Sperlingskauz, an owl that nightly takes to the sky in search of mice and voles to eat. The Black Forest also offers a gentler repast than the sort sought by owls. Autumn summons pert armies of golden chanterelles from carpets of emerald moss, and winter conjures a downpour of black chestnuts. Spring and summer are not without their peculiar bounty; earth dark with loamy vegetal decay incubates berries, ramps, and wild onions eager to burst from their seeds and papery bulbs. Indeed, anyone wandering this forest primeval would not want for sustenance. Unless that wanderer should suffer an insatiable sweet tooth, that is. Two such wanderers are Hansel and Gretel, subjects of one of the Brothers Grimm’s most famous tales. It tells of a pair of children abandoned by their wicked stepmother in the Black Forest. There they tramp aimlessly, growing cold and hungry, until they happen upon a small house made of gingerbread. Tarts and delicate cakes festoon its lintel and roof. A warm light glows through barley-sugar windows. Famished, the children nibble the roof until its owner, a witch, coaxes them inside with promises of even more scrumptious treats. Once inside, the children are plied with fresh milk and pancakes (with sugar), nuts and large rosy apples. 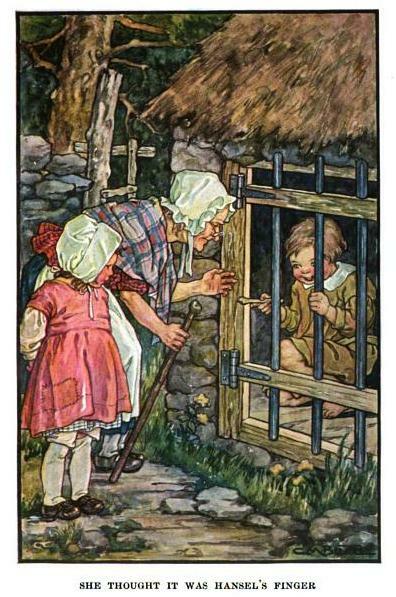 The witch observes that the boy and girl are too stuffed to stir, so she imprisons them for a gustatorial purpose of her own: She plans to eat them. The witch’s plan is thwarted by her would-be victims’ cleverness, however. Hansel and Gretel escape and find their way home, their pockets stuffed with sweet treasures plundered from their former prison. They learn that the stepmother has died and rejoice, the news sweeter to their ears than the richest of the witch’s pastries ever was to their palates. Should you wish to trap any wayfaring children (or sweet-toothed adults), the recipes below for barley sugar, which appear in Cookery and Confectionery (1824), lend themselves to the construction of the very sort of windows adorning the witch’s cottage. 676. Caromel Sugar, for sticking baskets or pastry tip, and for making covers. Rub the sides of a caromel-pan round with butter; put a quart of clarified sugar, (No. 675.) boil it ten minutes; add a table spoonful of white distilled vinegar, boil it down to caromel, as directed No. 674; when done, stand the pan within another, with cold water to keep it from colouring. The mould must be oiled well over; when the sugar is a little cool, and runs off the spoon as a thread, draw it over the mould what pattern you please; take care to have a good rim round the bottom of the mould to stand on; when done, warm the mould a little, and the cover will slip off; it may be done inside the mould, and ornamented with any dry sweetmeats, comfits, or gum paste flowers. Note.—This sugar may be kept in a pan, when done with, and is ready on all occasions, as it will heat again repeatedly, and will serve to stick all kinds of pastry up. 677. Lemon Barley Sugar. Boil one pint of syrup (No. 675.) to a caromel;when done add twenty drops of essence of lemon, and pour it out in lengths on a marble slab, oiled; when nearly cold twist it. Note.—Barley-sugar drops are made by dropping it on the slab, and wrapped up in papers with a little sifted sugar. If made in large quantities, it is poured on a slab made to hold the quantity, and when cold cut in lengths with scissors, and twisted. Ginger barley-sugar is made the same as this, omitting the lemon, and adding a spoonful of the concentrated essence of ginger, when nearly boiled. 678. Lavender Barley Sugar. Boil a pint of syrup to caromel, (No. 676.) when nearly done add a tea-spoonful of prepared cochineal, to colour, and twenty drops of oil of lavender; let it boil half a minute in it, pour it in lengths on a marble slab, oiled, and twist it.